Wat De Fu: Samosa for breakfast? 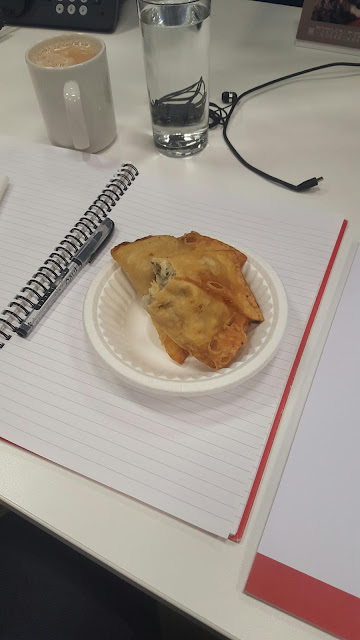 One of the chaps in our team turned 30 over the weekend so brought in a large cardboard box of samosas. Quite spicy. We've also got a couple of the team coming back from holidays so we have treats from France and Vietnam.